Are wine clubs worth the cost? We’re all about transparency here at WineClubReviews.net so we want to make it very clear: we have a vested interest in telling you we think wine clubs are a good deal. Of course the flip side to that is, we review wine clubs for money because we think some wine clubs provide exceptional value and worthwhile wine experiences. Let’s explore how to tell if a wine club is worth it, how to maximize the value in a any wine club, and how to avoid bad wine clubs. Among wine club providers, a handful are smaller mom-and-pop businesses run by people who love wine and want to share their love of wine with as many people as possible. As a general rule, any wine of the month club you find on our site with a rating of 4 stars or higher is providing good value and is worth taking a look at. But what about in general? Are wine clubs a good value? Most local wine stores charge consumers full retail. That’s never a deal. Some higher-end wine stores charge a mark-up above suggested retail price. They’re just taking advantage. Before you buy wine from your local wine store, do a quick internet check with your mobile phone and see what other local stores are charging. Wine clubs rarely charge full retail, so check our wine price scores when reading our reviews. Very few local wine stores offer a money back guarantee for wines you didn’t like. This is something we love about some wine clubs, they offer a 100% Satisfaction Guarantee. Didn’t like a wine they sent? No problem, call them up, let them know, and they’ll promptly send you something you’ll hopefully like more. This reduces your risk to almost zero and increases the value of any wine club subscription with this kind of service. Want a 100% guarantee? Try The Original Wine of the Month Club®, or The California Wine Club. Most local wine stores don’t have a beefy selection from around the world to help you discover new wines and expand your palate. They concentrate on wines that sell under $25, made from grapes people know about, and come from regions people are familiar with. They do this because that’s what they sell the most of. On a related note: clerks working at these stores also haven’t tried every wine the store carries to help you pick the right wines for you. As a general rule wine clubs taste hundreds of wines each month and select the best of the best to send out in shipments. Most wine clubs buy selections in much higher quantities than local wine stores. 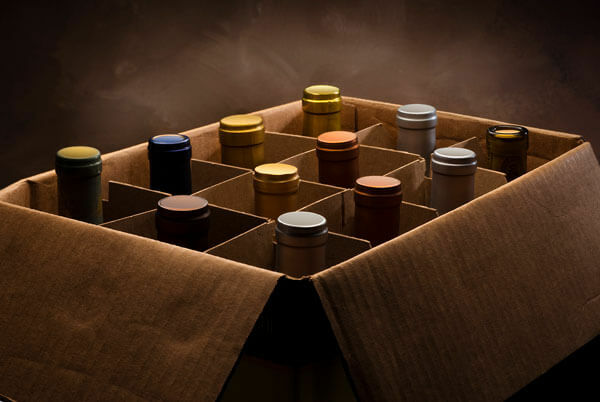 A local wine store might order a case or two, but most wine clubs order dozens of cases. This enables the clubs to negotiate the price of the wine down, and then usually pass that savings along to members either as discounts or as a perk like free shipping. Tip: Surprisingly, the biggest wine clubs rarely provide the best quality-to-price ratio (QPR). The clerk at your local wine store may or may not know anything about your palate or which wines will suit it. There are a small handful of wine clubs who recognize this lack of expertise and they are developing large followings by customizing your wine shipments to your specific tastes using technology. 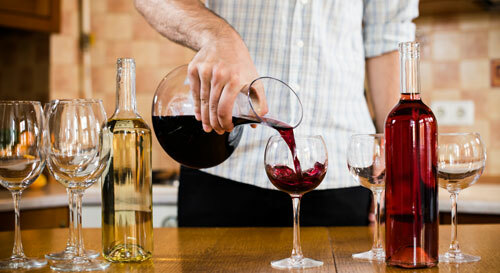 For a personalized wine club, try Winc or TastingRoom.com. When you like a wine that you bought at your local wine store it’s unlikely they’ll offer you a discount when you go back for more, unless you’re ordering a case. Wine clubs, however, will usually offer their members up to 20% off any reorders from the original club shipments. Liked that Cabernet and want to have some on hand? No problem, swing by the website and enjoy the discounts bestowed upon you by appreciative wine clubs. You’ll also get frequent access to members-only sales with even deeper discounts and cheap or free shipping. This is added value, plain and simple. Order larger shipments and have them delivered less often. Instead of having two or three bottles delivered every month, have six bottles delivered every other month. Even better, have a case delivered on a quarterly basis... it’s the best per-bottle shipping price you’ll get and the wine clubs usually offer case discounts to thank you for ordering in volume. 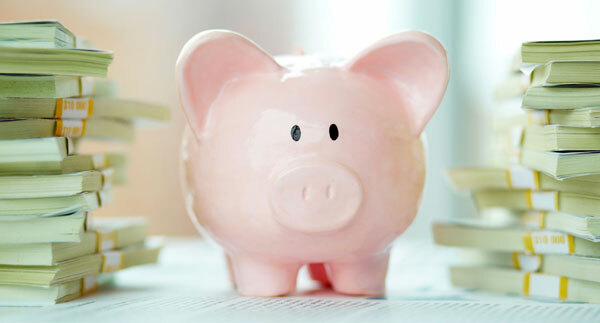 Don’t commit to an ongoing subscription, buy a fixed-length subscription that ends when you want it to and fits within your current budget. You’ll get offers to renew your order at the end, so if you like the service your wine club provides, you can easily renew. If you didn’t like the wines or service or are ready to try a new type of wine club, you can find another wine club or go back to shopping at your local store. Pick a wine club that offers you a worthwhile introductory offer. We’d steer clear of the ones offering cheap goods like corkscrews and wine tasting glasses, and go for the ones that offer an extra shipment, free shipping on the first order, or a free wine bottle with your first order. As in all industries, some wine clubs are merely preying on unsuspecting consumers with disposable income who are prone to not reading fine print or doing the math before making purchases. But you’re not one of those consumers because you’re here, reading this article trying to research the value of wine clubs. Is the wine club you want to join in the wine business? Often times they're not. Examples include publishers like NPR, TV networks like TCM, affinity groups like the NRA, etc. If you’re considering a wine club like one of these, you might want to pass (or explore other wine clubs). Many companies offer these private-label wine clubs in order to improve their bottom line, but they don’t have anything to do with which wines are selected, customer service for the wine club, or what happens to your credit card number and email address after you join. This type of situation generally doesn’t lead to good value for consumers, and isn't likely to add any value beyond what you can get by picking your own wine at the local store. Have we given the club a low rating? If we haven’t rated a wine club at least 4 stars, we don’t believe they’re providing consumers a good deal. It’s that simple. Our ratings system covers 10 different wine club features. We weight those scores to create an all-around rating so you can easily see which wine clubs offer the best experience. We also offer a value-oriented score if that’s the aspect of wine clubs you want to focus on.